Geiger counter | That Belongs in a Museum! I brought a Geiger Counter…It’s a relic of the Cold War. 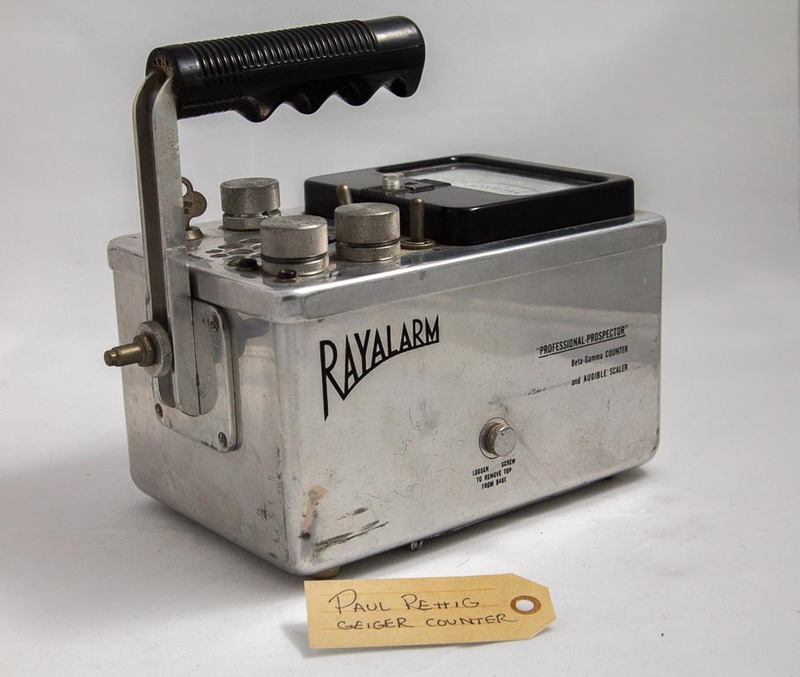 This was a device that allowed you to detect radiation. The museum it belongs in is the Museum of Hope…I found this at a garage sale here in Chicago. The Cold War was over, and people weren’t afraid that the atomic bombs were going to rain down anymore. And that used to be a real fear. Growing up in the 80s I used to have nightmares that there would be an atomic war and that my whole family would die…there was hope, and we got past that. Now there’s this environmental armageddon that we are facing, and I hope that we can still make it out alive from this one too. So let’s remember that we faced some big challenges before, and we can get past them.